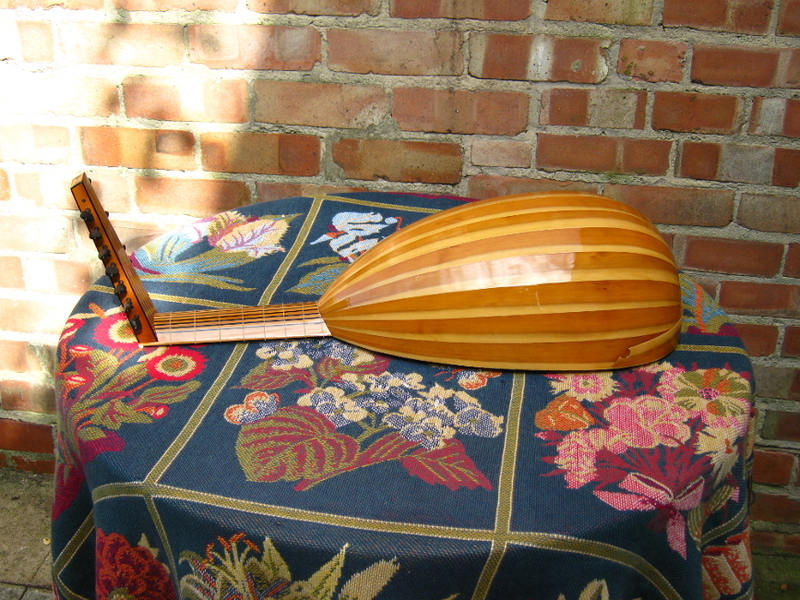 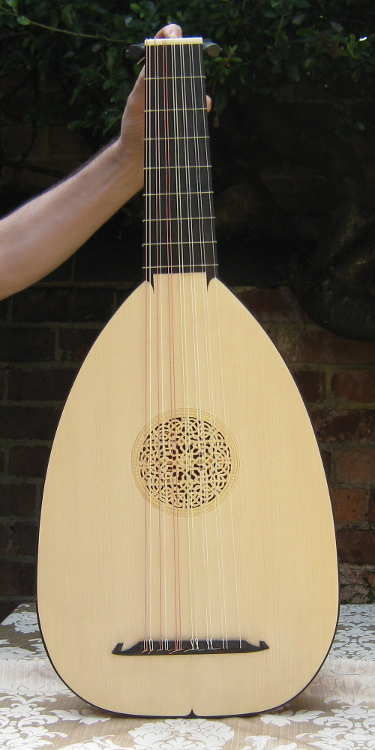 We currently offer four different models of seven course lute. 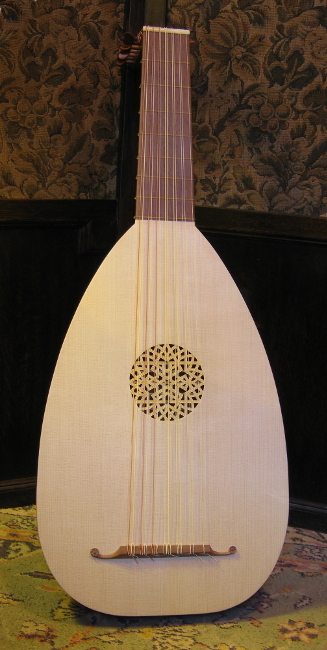 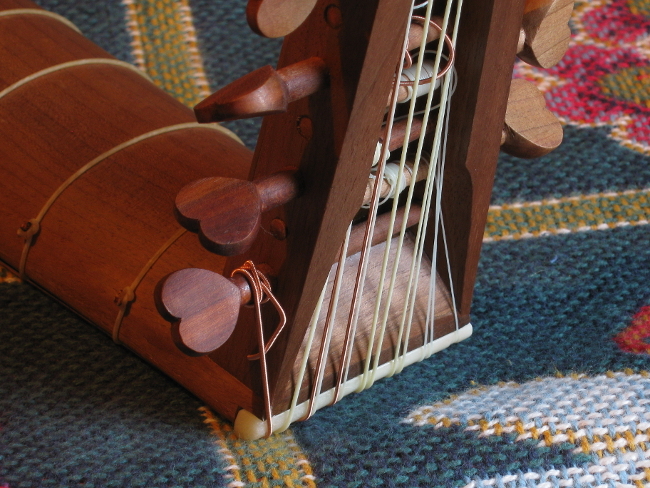 Two of these lutes, the Gerle and Venere, are tuned in G. The other two, a Frei and an own nine rib design, are for tuning in F# or F. All four models are suitable for carrying eight courses. 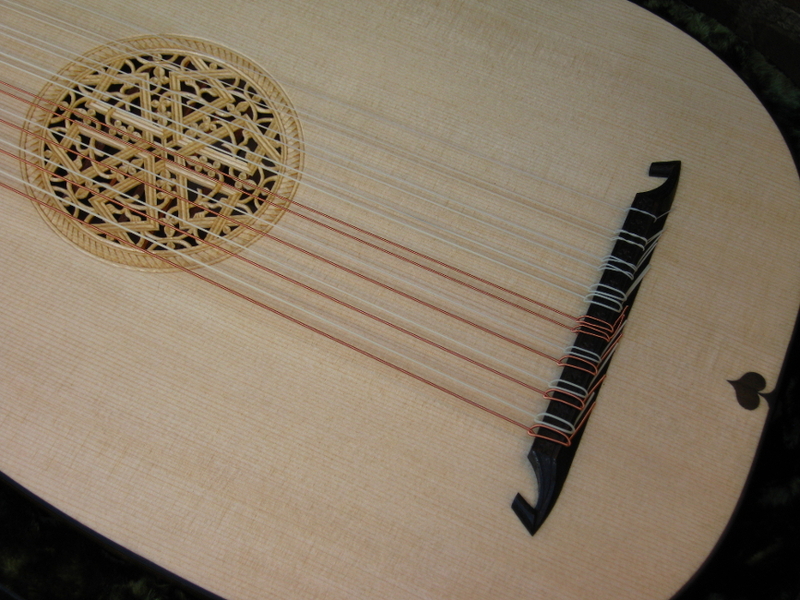 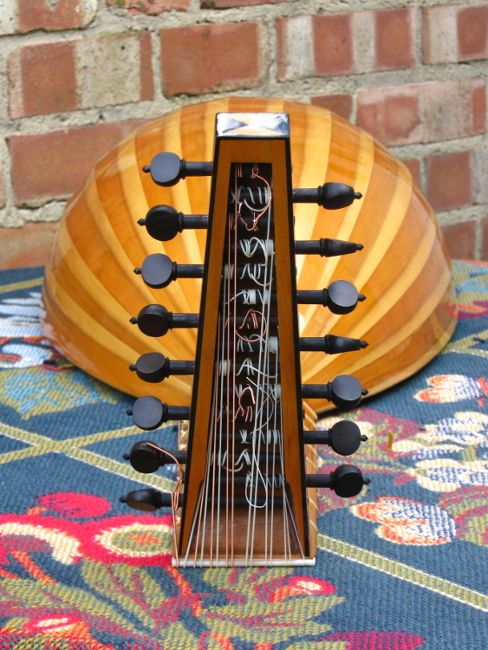 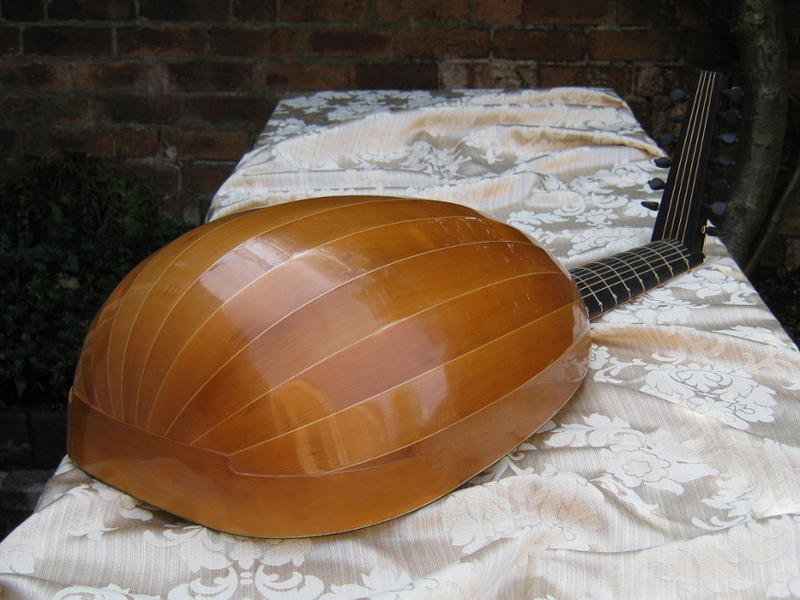 Seven and eight course lutes are available starting at £1765 and £1780 respectively. 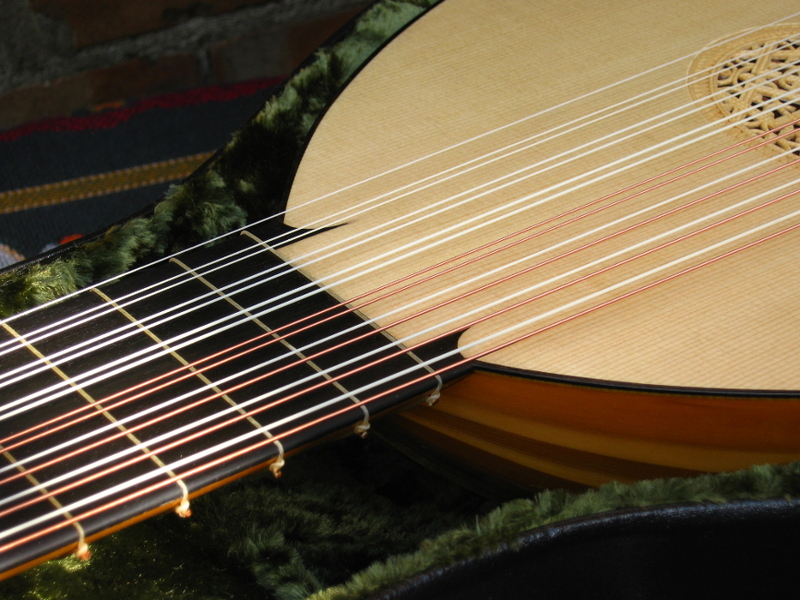 See the price list for general comments on what features you can expect at the lowest price level for each type of instrument. 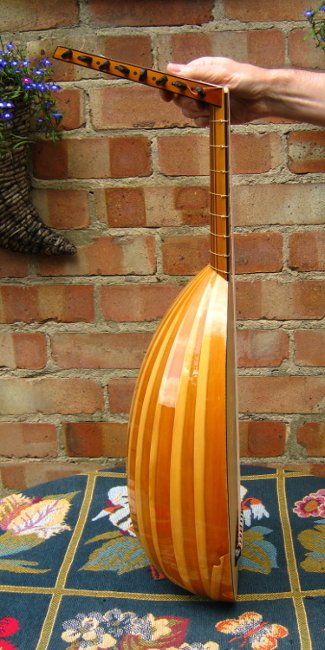 The decorative schemes described on this page are examples only and are not comprehensive. 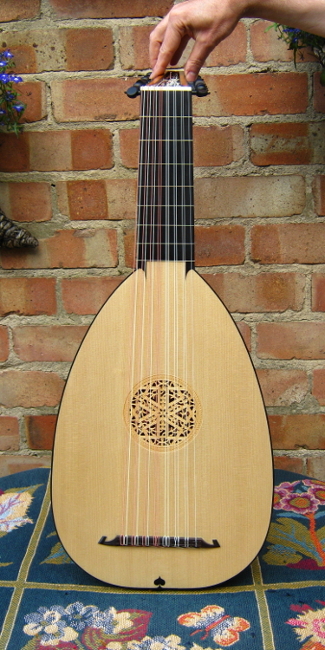 We have tried to offer examples reflective of both lutes near or at the base price, and lutes that have more costly decorative features. 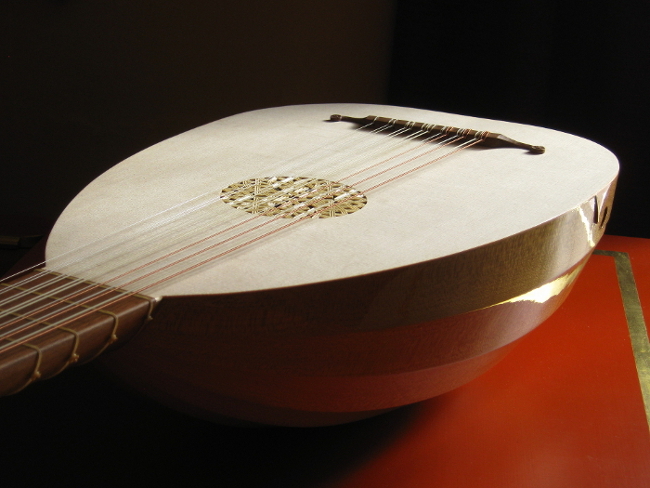 The seventh course made an appearance quite early in the sixteenth century but didn't become popular until around the last quarter of the century. 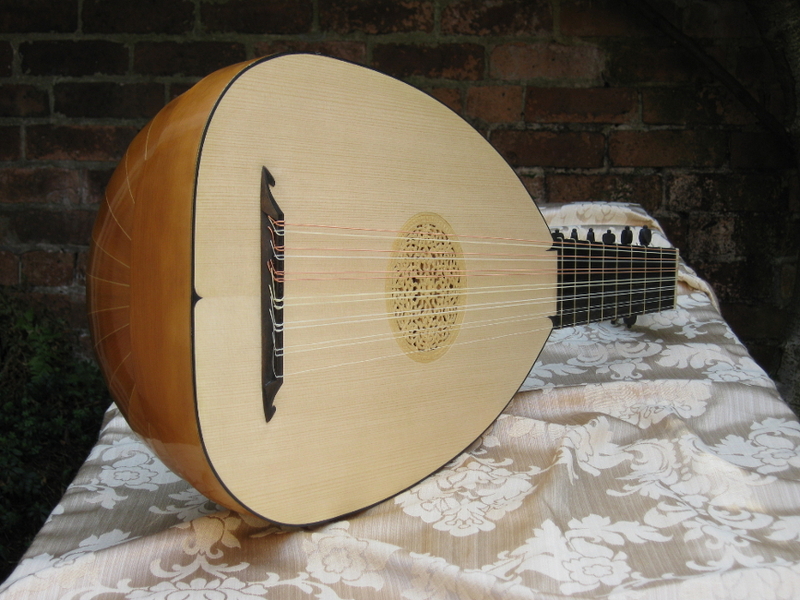 The appearance of the eighth course probably followed not long after, although it cannot be said to have ever been so common. 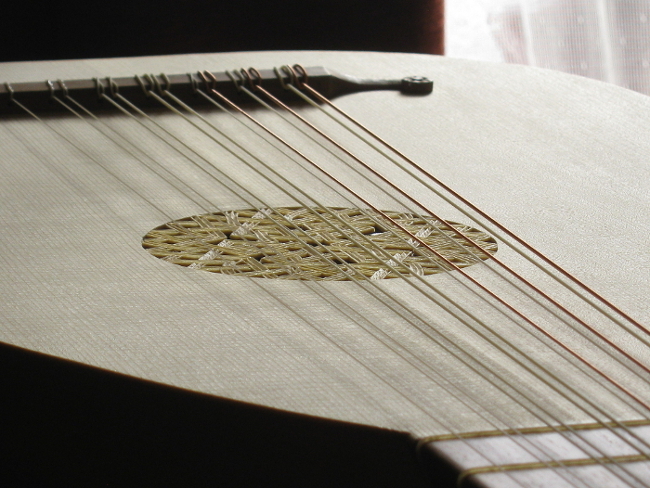 Like six course instruments they are now most often encountered tuned nominally in g with the top six courses arranged in the same intervallic relationships. 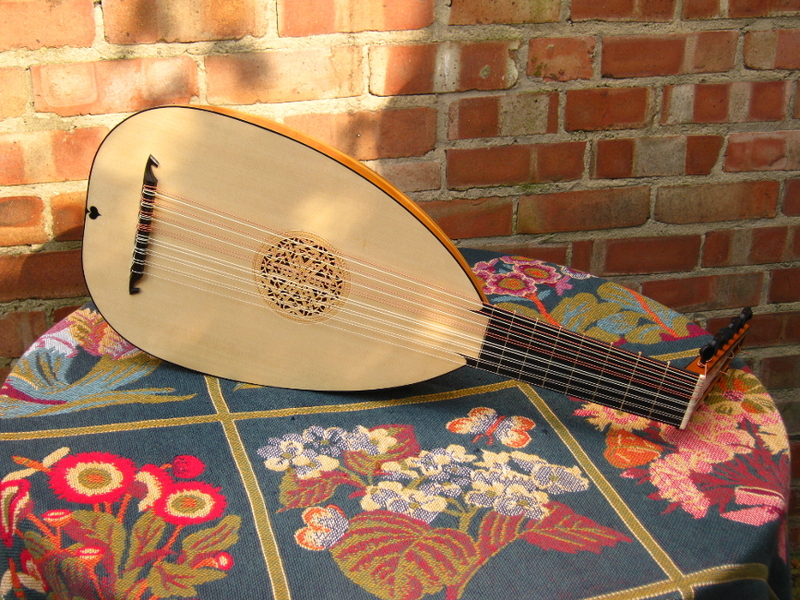 Such instruments are considered to be very versatile as they are usable for most of the earlier repertoire as well as the music of the English renaissance period. 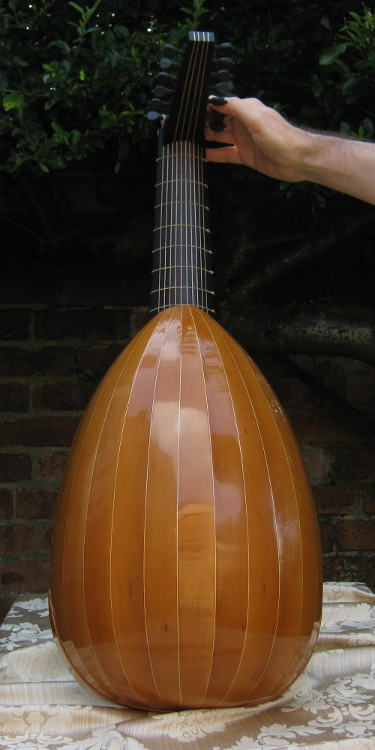 However, both differences in construction and in stringing between these and six course lutes mean that they are very much two seperate instruments with distinct qualities. 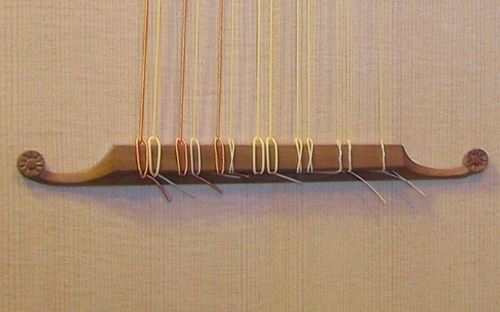 This model has a string length of 60cm. 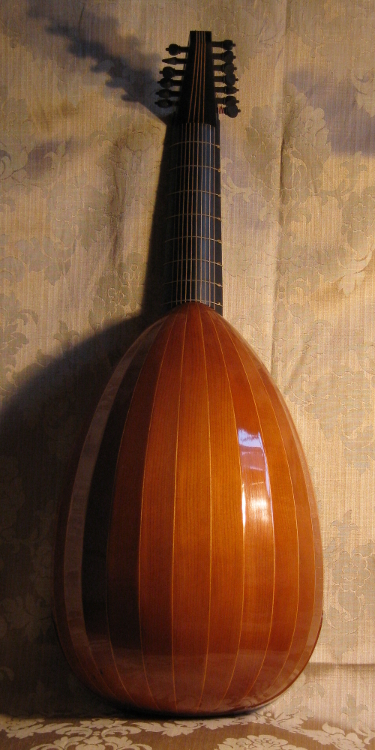 The original surviving Gerle was built as a six course lute as is described on the six course page. 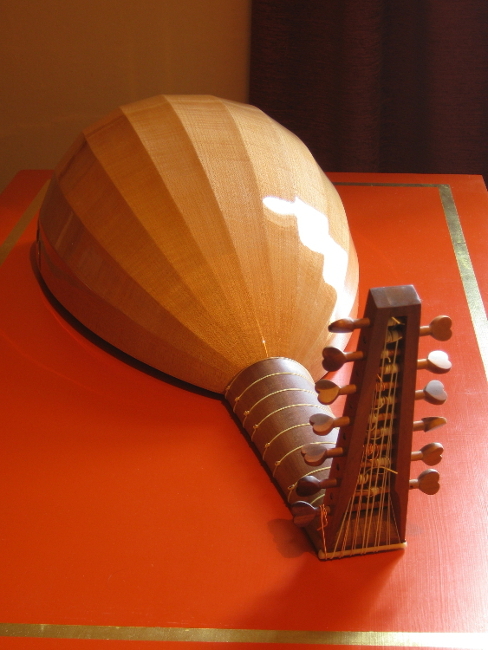 The seven course Gerle may be built so as to resemble a typical six course lute in every detail (as can be seen in the images below) save for the addition of a seventh course. 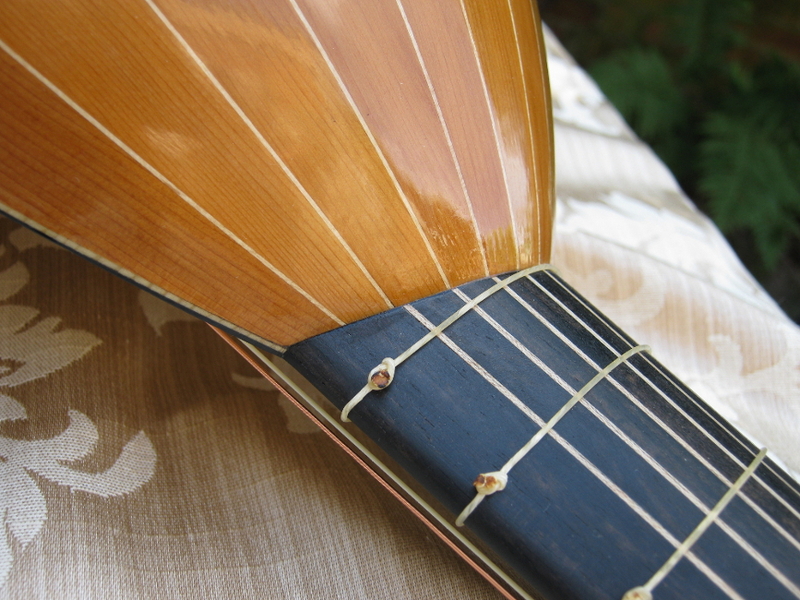 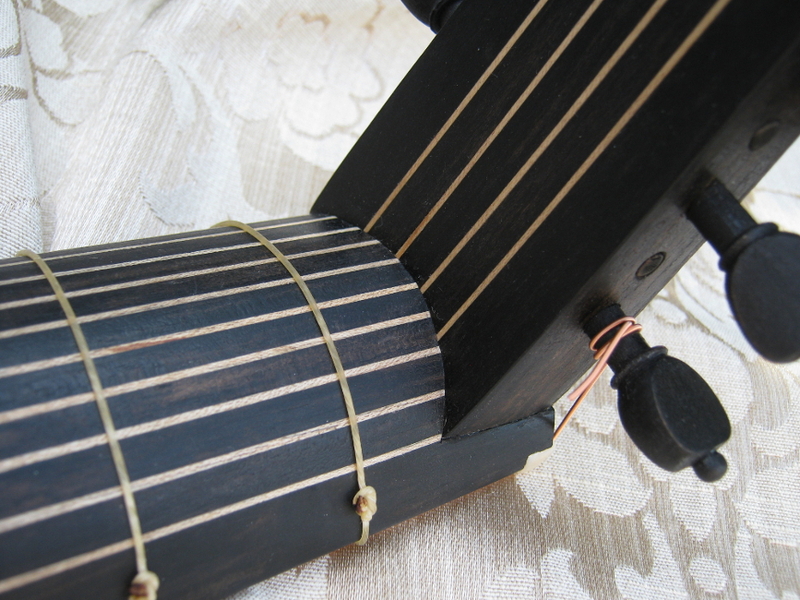 Alternatively a later style bridge and ebony fingerboard and points may be fitted (at increased cost). 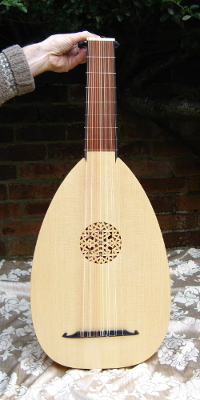 This later style can be seen illustrated on the Venere lute in the section below. 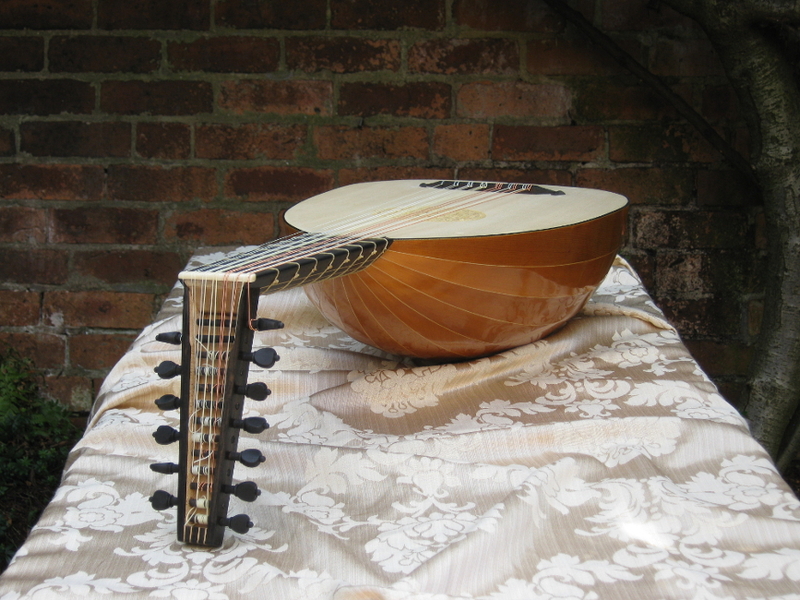 This model has a string length of 60 centimetres. 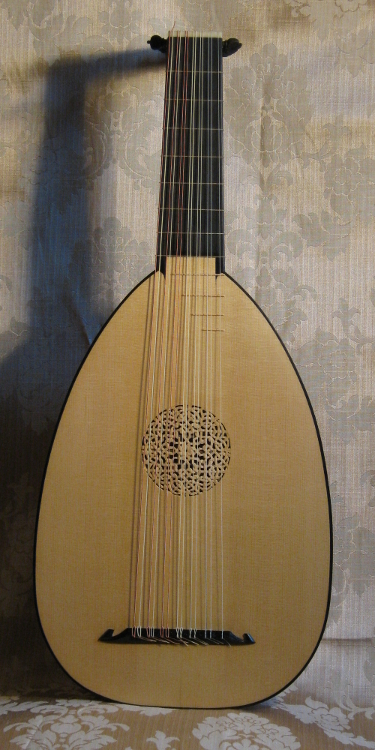 It is based on surviving lutes by the Paduan lute maker Venere and has a thirteen rib back after the C36 lute (Kunsthistorisches Museum, Vienna) but reduced in size. 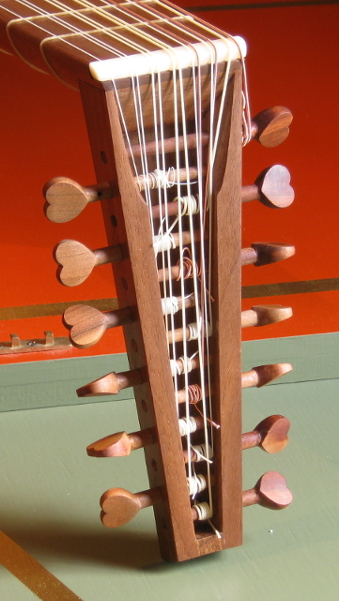 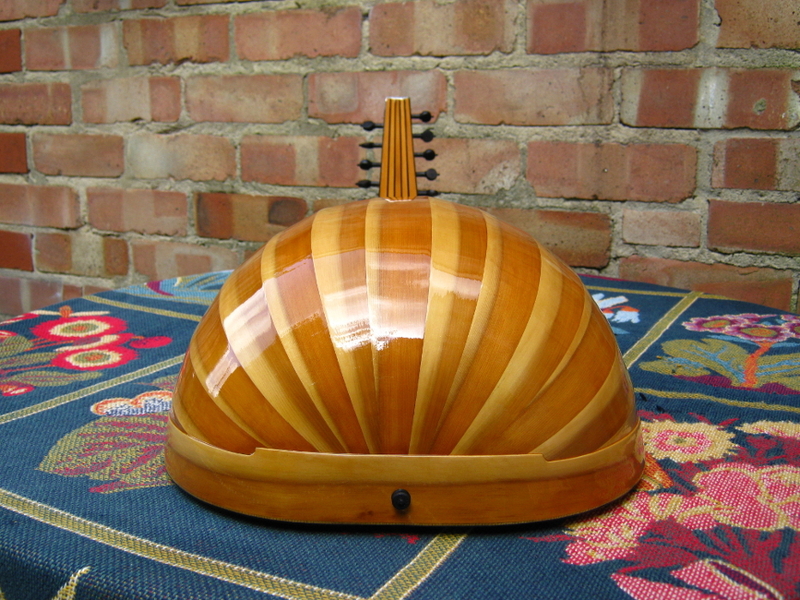 This model is available in heartwood yew or pear with maple spacers. 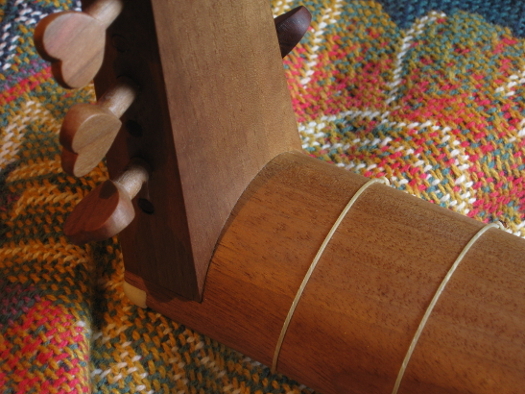 The neck and pegbox may be left plain or veneered in ebony or yew with or without lines. 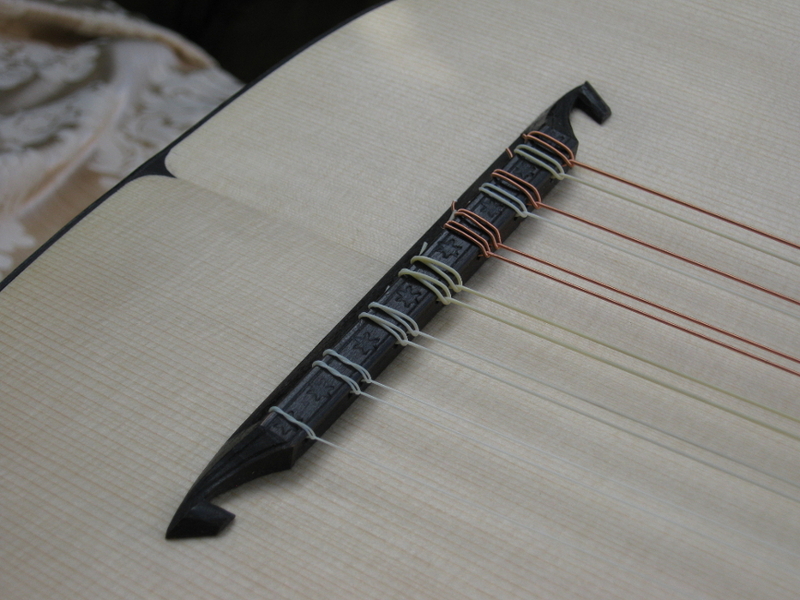 The fingerboard is usually made of ebony with ebony points. 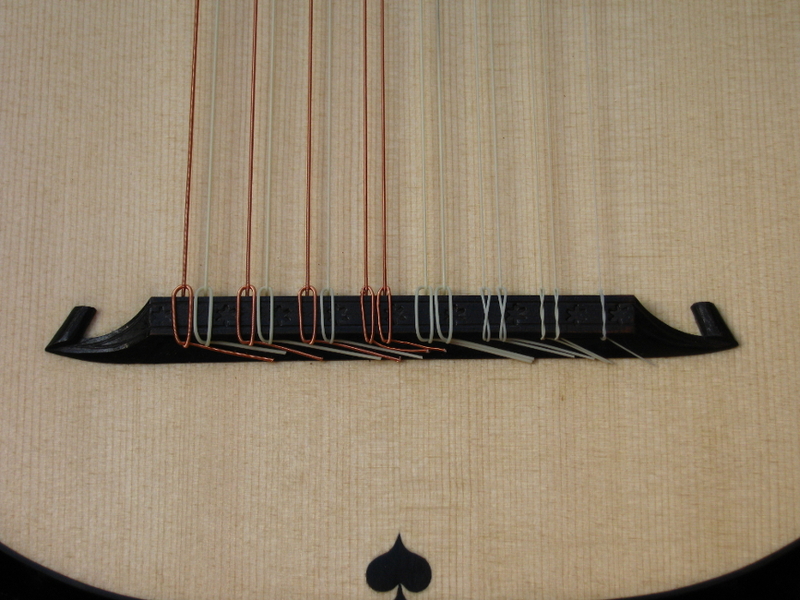 A variety of peg shapes are available in blackened plum. 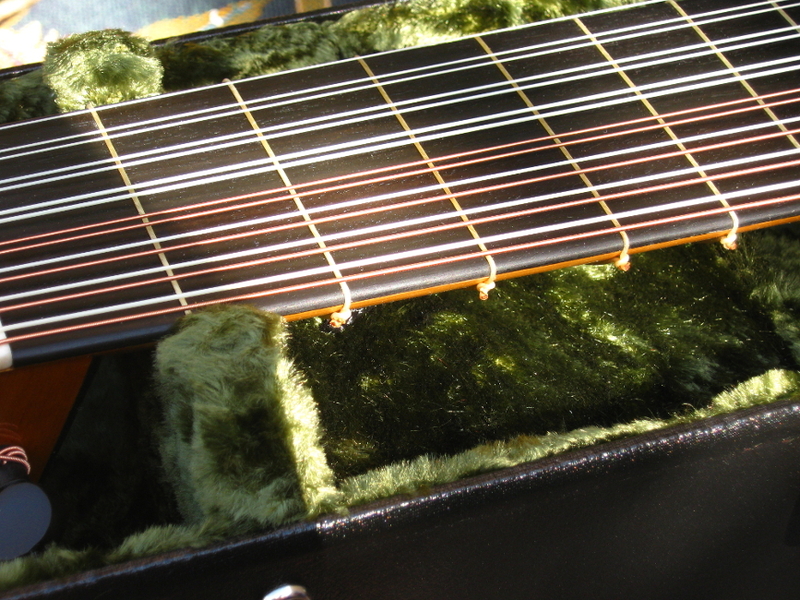 The bridge is in plum and usually blackened. 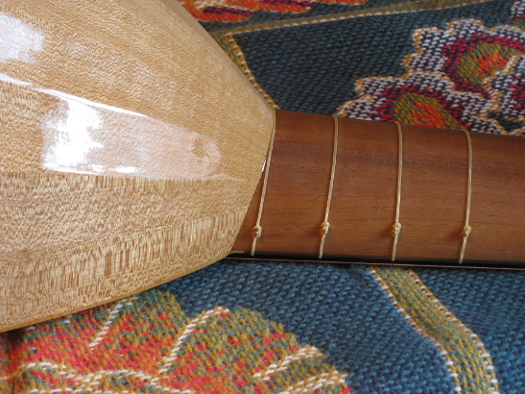 Further decoration, such as edge-binding and inlaid heart, are also offered as possible extras. 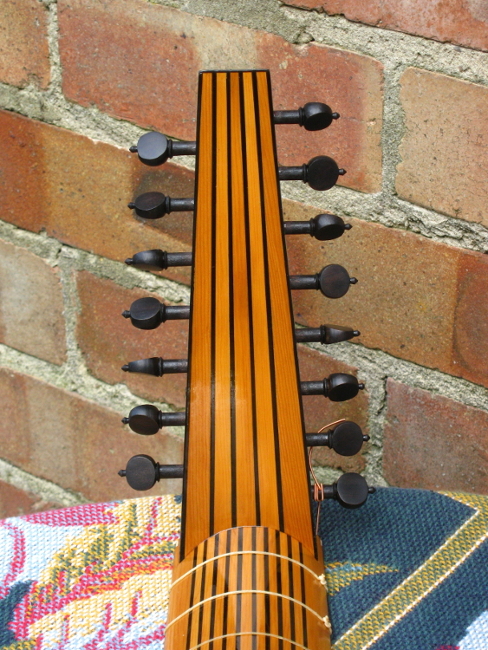 A body of this type can be seen in the eleven course section. 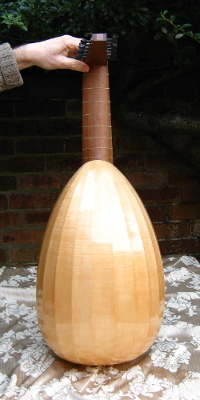 A body of this type can be seen in the six course section. 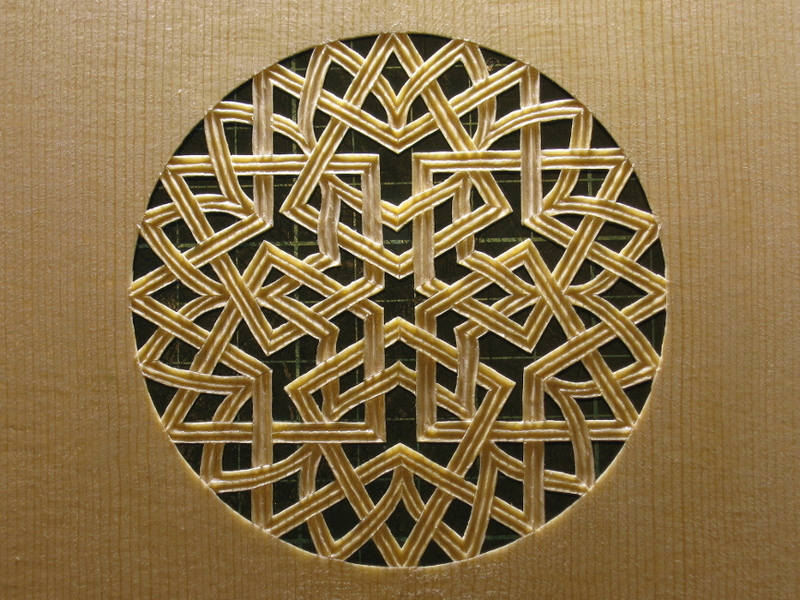 Back to the catalogue index. 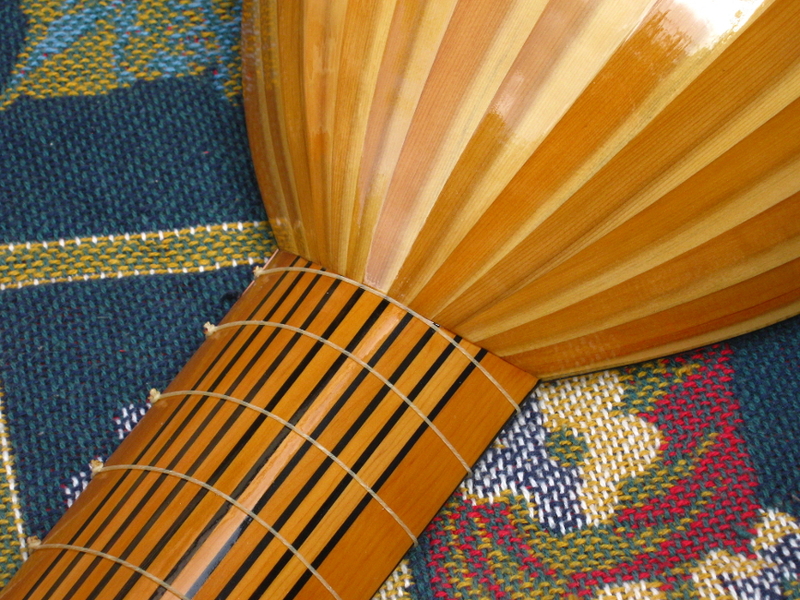 Please don't hesitate to contact the webmaster if you have trouble viewing this site. 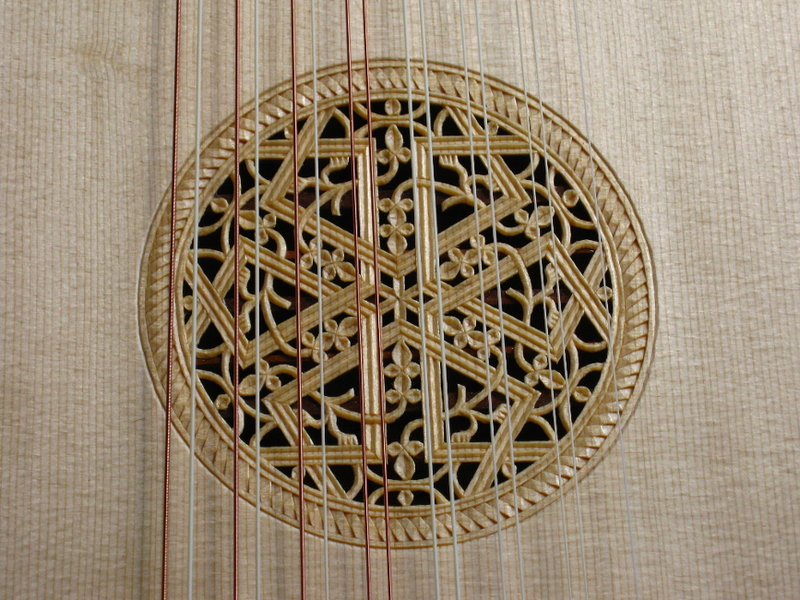 Website design and layout by Lawrence Dodd, © Dodd Lutherie 2018, all rights reserved.